AZ Desert Botanical Garden sale this weekend. Plan on getting one palo verde and one ironwood for their pods. I already have two mesquites, but not sure what kind. If I see a good deal on velevet mesquite I am getting that two. Where I did my research…. Or at least off the web. I think I angered the spiders when I pruned and straightened the mesquite trees. I got webs showing up throughout the yard. Before I only had a couple of webs on two of the mesquite trees. The vastly increased mass of spider webs that I am now regularly encountering has me slightly disturbed. For some reason, spiders freak me out. Update: I had a small fire and burnt creosote in the embers. We shall see how that works. I notice the cats are not coming back as fast at least. 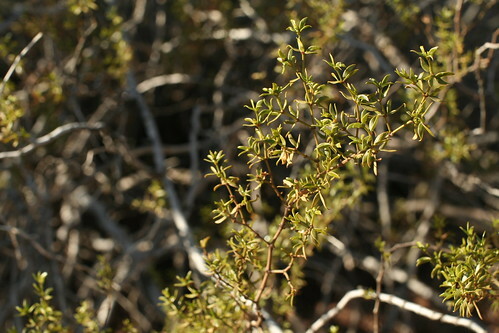 Creosote is known for all of the chemicals it has in it that insects do not like. It’s smoke be used to cleanse oneself if you had no option for water.